Jan 4 Becky’s Nursery Rhyme Quilt!! Okay, so there is sweet and then there is super sweet. This quilt that Becky made for her grand baby is such a treasure. Some of you may have seen the header image to this post, on my Instagram. It definitely got some wows!! Let me know if you are interested in me videoing any of these designs being quilting... I already have plans to video me quilting a crackle design. Which I’m going to quilt on the next quilt, I quilt. I want to show you close ups of each block, so you can see them better. I love this random pedal design, it’s not like a regular feather with a spine, just randomly dancing around in the background. This is one of my new favorite designs to freehand quilt. My arch echo design, this is fun around these facing characters. I love the mixture of hard lines with the other softer curvier designs. I used Linda from thequiltedpineapple.com Edge ruler to quilt all the straight lines in this quilt, which also includes in the sashing. I love her rulers, the lines are perfect so I don’t have to mark anything when I quilt. This is always a fun background filler. Especially on a snowy or Halloween quilt, but I even think it’s cute on this particular square! A little swirly feather seemed fancy and sweet, with Mary and her little lamb. I went around the outside of each embroidered character, so they would pop! I don’t know why but bubbles (or pebbles) just seemed like a great fit for Jack and Jill. For this one it was about adding the right texture. When I saw this quilt, and knew Becky wanted different backgrounds, there was no question what I should do on this particular square...grassy hay was a fun combination with the embroidery. The texture in this block is my one of my favorites. The overlapping swirls on this one are just fun and perfectly girly with Little Miss Muffet. Years ago I saw a quilt someone quilted on their sewing machine with tiny loops close together, I saved that picture on my phone for inspiration for a long time. I can’t remember who it was...but I love it when an oldie but goodie can come back. This is simple, but I prefer it to bigger loops that are more spread out. Okay...I don’t know about you, but I’ve never heard of Lucky Locket before. These fun little leaves seem to dancing all around her. Some pinstripes fit this young man pretty well, never heard of this nursery rhyme either. Okay, so this one is my absolute favorite texture on this quilt. That swirly wind behind Little Bo Peep, is just sooo much fun to quilt!! Becky brought a nice Hobbs Polyester batting with her. I’m not typically a polyester batting fan, maybe it’s because I think most of them aren’t made very well. The Hobbs Polyester is awesome!! It’s bonded and doesn’t pull apart as you lay it out to cut/measure/put onto the machine. Great job Hobbs!! If you want the extra loft from a polyester batting, don’t get the cheapest thing you can find. Polyester can go super lumpy as it’s used/washed. If it pulls apart when you touch it, that’s a good indicator you don’t want it. Get yourself some Hobbs Polyester, and you’ll be happy you did!! Bonded batting’s are important when you’re getting a batting with a high loft, you’ll know it will keep its shape. I also used 30 tex poly wrapped poly Perma Core A&E thread. Becky requested a straight line down the middle of the sashing, which I used Linda’s Edge ruler on. Then I did a freehand pebble around the outside border. So, you may be wondering where Becky got this pattern??? She said she thinks she got it at Walmart. Well, the pattern for the nursery rhyme characters. She decided to do the striped sashing. She cut the sashing strips at 1.25” . If she remembers for certain, I’ll edit this post. I love the 30’s fabrics Becky used with this quilt!! 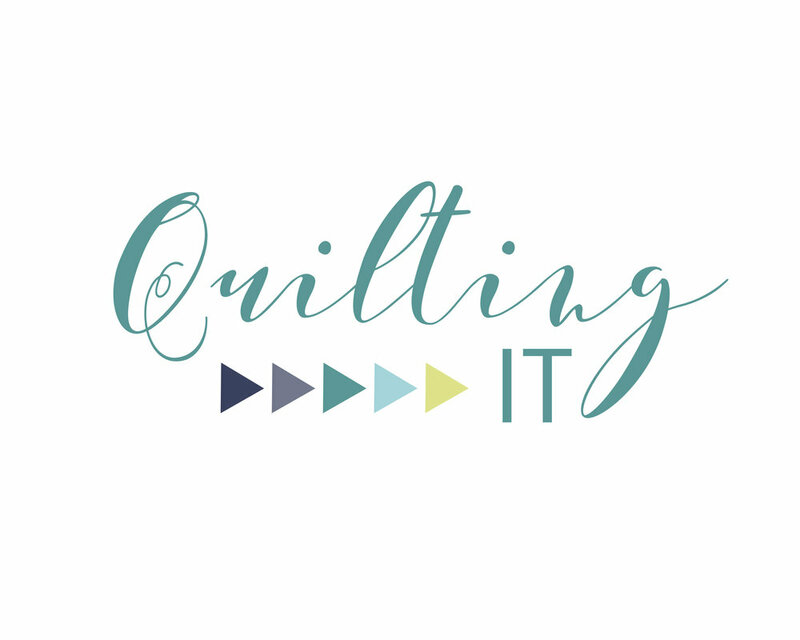 I certainly hope that this post will also become a great resource for quilting a variety of custom backgrounds. It’s great to see what works together. Jan 5 My Ombré Gems quilt!!! Jan 3 Angela’s Star Wars quilt!! !